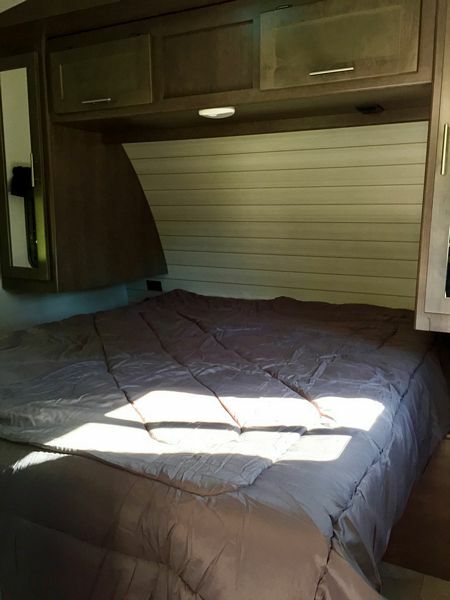 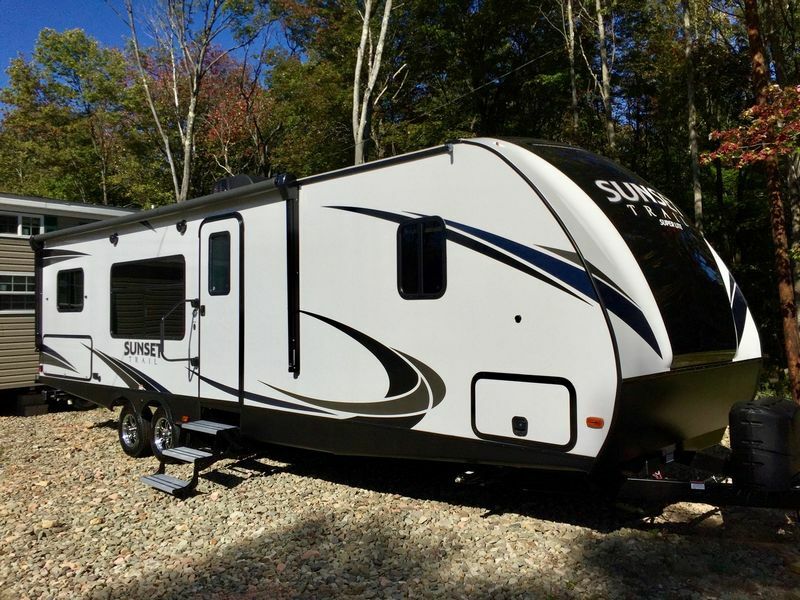 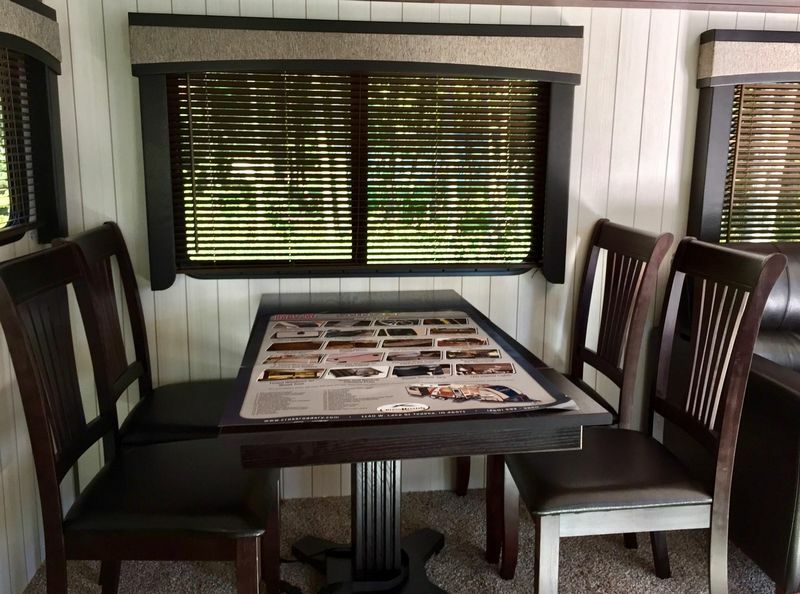 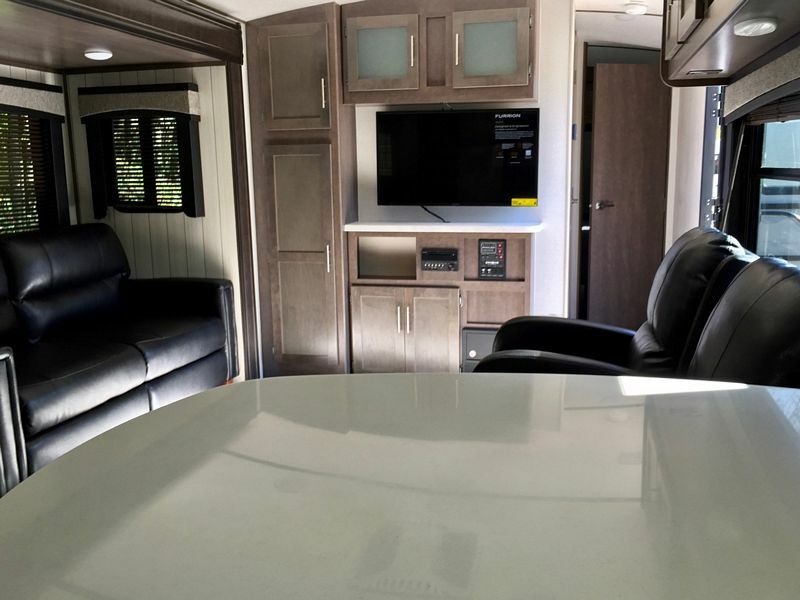 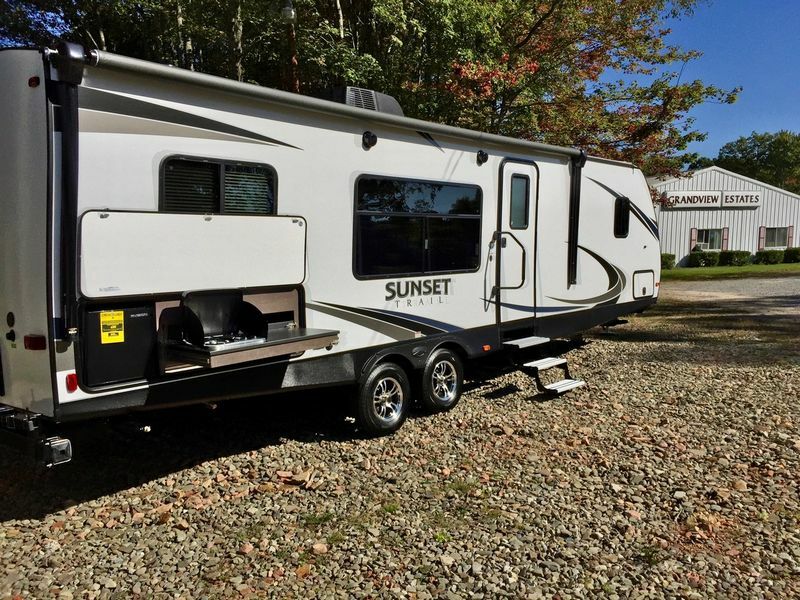 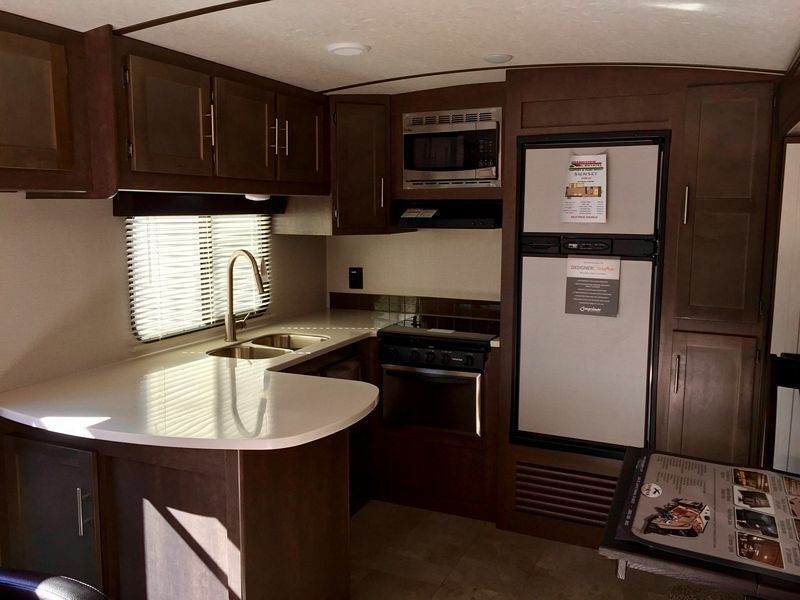 This Cross Roads Sunset Trail Super Lite provides spacious interior room with a rear kitchen layout and well-thought out storage. 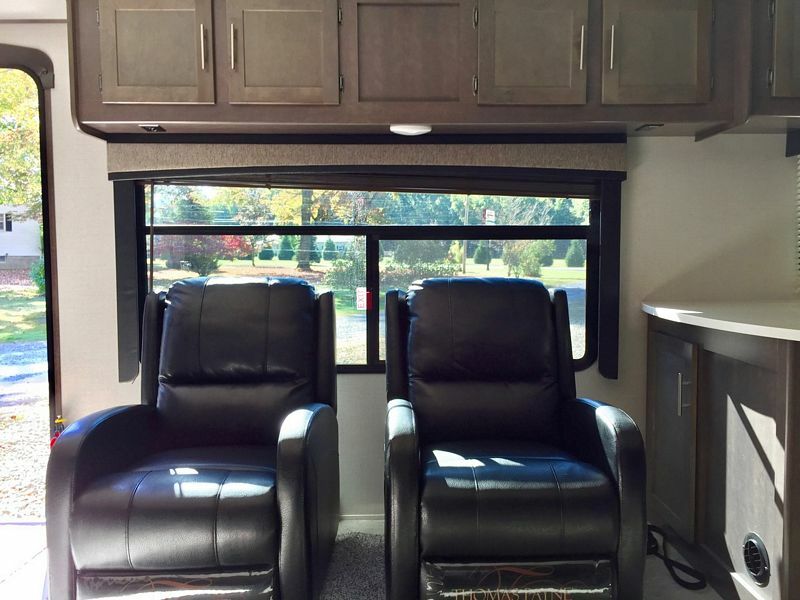 There are numerous other comfort features such as two recliners, Microwave, Range w/ oven, 8cu ft. Dbl. 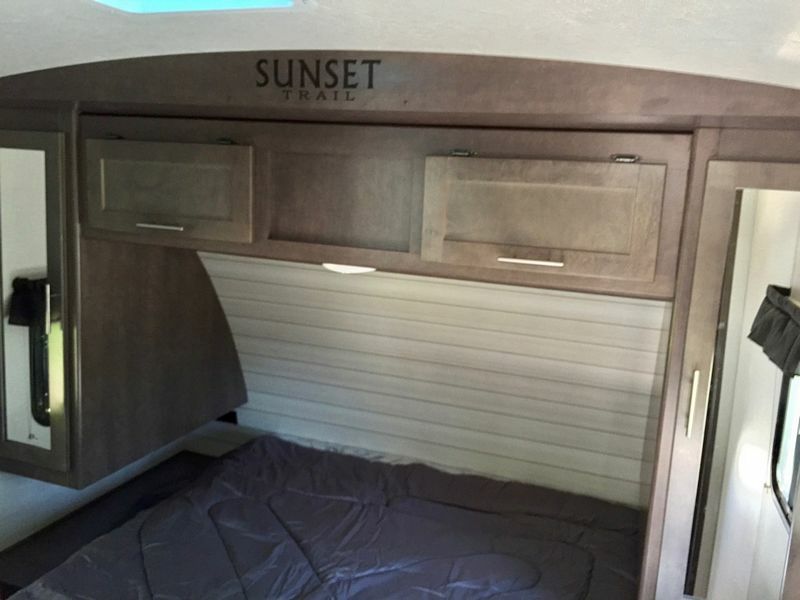 Door refrigerator, 32" or 40" LED TV, Jensen Bluetooth CD/DVD/stereo, 12v, USB, and 110 docking station, Tri-fold hide-a-bed sofa, Barreled ceiling, Solid surface countertops and more.Exterior Features Include: Outside kitchen, Outside speakers, Aluminum wheels, Secure stance EZ lube axles, Nitrogen filled radial tires, Extreme Weather enclosed underbelly, Power lighted awning, Power jack, Bumper mount grill and much more. 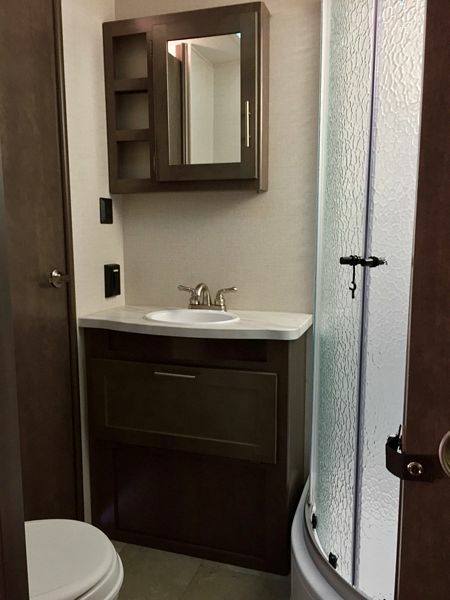 Come take a look at this one.